Historian of science Steven Shapin has a review of Steven Gimbel's new capsule biography of Einstein in which he holds forth with some of his more general thoughts on the art of scientific biography and the treatment of famous scientific figures. Shapin mulls over the current of writing about scientific lives that initially tended to treat its inhabitants as scientific heroes but which in recent times has sought more to illuminate their human flaws. Pointing out the triumphs as well as the follies of your subjects is of course a good way to achieve balance, but as Shapin points out, one can bend over backward in either direction while doing this. "The “human face” genre was an understandable response to hagiography, but more recently it has lapped over into a commitment to dirt-digging. Some modern scientific biographies mean to show great scientists as not just human but all-too-human, needing to be knocked off their pedestals. Galileo—we are now told—was a self-publicizing courtier, sucking up to his Medici patrons; Robert Hooke was a miser who molested his niece; Newton was a paranoid supervisor of torture who cheated in a priority dispute;Pasteur was a careerist power broker who cut ethical corners; even gentle Darwin was channeling laissez-faire capitalist ideology and using illness as an excuse to get colleagues to face down his scientific opponents on his behalf. Weary of stories about the virtues attached to transcendent genius, biographers have brought their scientific subjects down to Earth with a thunderous thump." This view does not quite conform to the post-modernist ideal of treating every achievement as a subjective (and pedestrian) product of its times rather than as the unique work of an individual, but it does go a bit too far in discounting the nature of the few genuinely intellectually superior minds the human race has produced. The approach also tends to conflate people's scientific achievements with the social or personal aspects of their lives and somehow asks us to consider one only in the "context" of the other. For instance according to this approach Richard Feynman (who would incidentally have celebrated his ninety seventh birthday today had he been alive) is not a hero because of his occasional sexist remarks or behavior, but the truth of the matter is that Feynman's behavior does not stop many of us (who are well aware of the unseemlier aspects of his personality) from regarding him as a scientific hero. It also seems odd to me to declare that Feynman is not a role model for science communication when millions of young people of all colors, nationalities, genders and political views have been deeply inspired by his teaching, books and science. Growing up in India for instance, I know first hand how much Feynman's books encouraged me and my friends to go into science; I wouldn't be surprised if it turns out that his books probably sold more copies in the bookshelves and on the streets of India than in this country. This fact also demonstrates that while it helps, one does not always need someone from their own community or gender to serve as an inspiring figure. When I was growing up it might have been nice to have a Nobel Laureate from my neighborhood to serve as a role model, but Einstein, Feynman, Darwin and Bohr provided no dearth of inspiration. When I thought about the wonderful facts about the world they had unearthed it did not matter whether they were white, black, brown or green. They were scientists first and Americans, Englishmen, Germans and Danes later. The point is, when it comes to being a successful model for science communication, shouldn't the product speak for itself? In our quest to seek new models of science communication, why do we need to discard older ones because they somehow don't look or speak like us? Why can't we have addition instead of substitution? And yet I see a minor, well-meaning but vocal chorus of voices in this country which wants to replace, not add to, old heroes of science communication. These proponents of diversity make the case that we need people from our own communities to serve as role models, and while this is certainly true their arguments sometimes ignore two facts: firstly, they underestimate the sheer power of scientific ideas like evolution or the birth of the universe to move young minds, and secondly they confuse "role model" with "inspiring figure". Henrietta Swan Leavitt is certainly an inspiration for me, but by definition she cannot be a role model. Role models do work better when they are somewhere close to you, but inspiration can come from anywhere. Somewhere in our quest to bring about a more equal scientific community I think we are elevating identity above ideas, notions of nationality, gender and color above the sheer factual authenticity of scientific contributions. While the former are important, they cannot rise by treading on the latter which as facts about the universe stand in their own right in isolated splendor. When I think about Feynman I don't want to think of him as a Dead White Guy first and as the originator of Feynman diagrams only second, and when I look at George Washington Carver I don't want to think of him as a Black Scientist first and as the originator of groundbreaking ideas in agriculture only second. We need to look at ideas first and foremost as ideas, and only secondarily as ideas from a person belonging to a particular community, gender or nationality. Otherwise we risk falling prey to the same divisiveness and proliferation of "isms" which we seek to abolish. The same problem applies to recognizing the balance between scientific genius and social environment. As Shapin alludes to in his piece, for some reason there has been what I see as a completely unnecessary tussle between two camps in recent times: one camp wants to declare scientific achievements as the work of lone geniuses while the other camp (definitely the more vocal one in recent times) wants to try to abolish or radically downplay the idea of genius and instead ascribe scientific feats to cultural and historical factors. Thus you can have genius or you can have luck, community, education and accidents of birth, but you cannot have both. The truth of course is much more mundane and somewhere in between: Einstein or Feynman were extraordinary intellects who did things that few others could have done, but it's also equally accurate that they could not have done those things without the relevant historical and social factors being lined up in their favor. We don't have to pick between genius-enabled science and socially-enabled science. The reality is that both of them piggyback on each other. There is little doubt that flashes of insight occasionally come from geniuses, just as it's true that these flashes stand on a foundation of historical and social drivers. 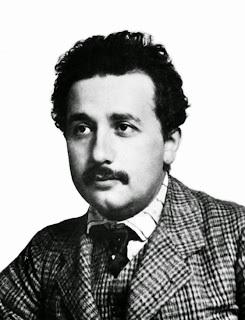 Fortunately as Shapin indicates, the art of denigration itself has not seen untrammeled success and some successful biographies of Einstein for instance have satisfying walked the tightrope between hagiography and candid human assessment. "Denigration is now itself showing signs of wear and tear. Much present-day scientific biography aspires to something as apparently benign as a “rounded” account of life and scientific work—neither panegyric nor exposé, neither a dauntingly technical document nor a personal life with the science omitted. Walter Isaacson’s 2007 biography is an accessible and assured account, and his goal is such a “whole life” treatment. “Knowing about the man,” Mr. Isaacson writes, “helps us to understand the wellsprings of his science, and vice versa. Character and imagination and creative genius were all related, as if part of some unified field.” What could be more sensible?" We can thus recognize Einstein as an authentic genius while also recognizing the shoulders on which he stood. We can recognize Feynman's scientific genius and his pronounced impact on the minds of millions of science students while recognizing his flaws as a human being. Gimbel's biography is along similar lines. Taken together these balanced works provide some hope that we can appreciate the shining products of humanity while also appreciating their human defects. Like the paradoxical but complementary waves and particles of quantum theory, the two complete each other. Is mathematics necessary for doing great science?